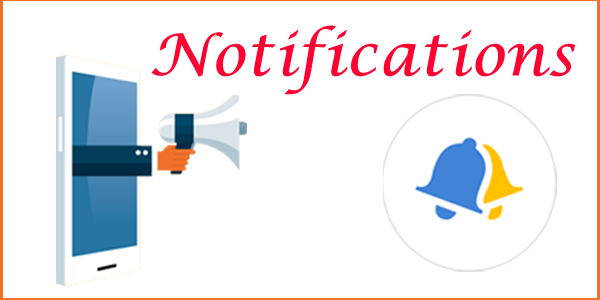 IBPS Clerk Notification 2018 is released recently. Through IBPS Clerk 2018 Recruitment Notification, a total of 7275 vacancies are going to be filled. So, candidates who are eagerly waiting to pursue their career in the Banking sector can grab this excellent chance & apply for IBPS Jobs 2018 in online mode @ www.ibps.in. The IBPS Clerk Apply Online Link will be available active from 18th Sept 2018 to 10th Oct 2018. Scroll down the page to get the full info of IBPS Notification 2018 like Eligibility Criteria, Recruitment Process, Salary, CRP Clerks VIII Exam Date, Notification & Apply Online Links, etc. Every year, Institute of Banking Personnel Selection conducts IBPS common written exam or CWE to recruit the eligible applicants for the clerical cadre in multiple banks all over the country. Recently, IBPS Notification 2018 is released for the recruitment of interested & eligible candidates for Clerk Vacancies. The total number of vacancies advertised under IBPS Clerk Recruitment 2018 are 7275. The application process for IBPS Clerk 2018 Recruitment will begin on 18th September 2018 and will end on 10th October 2018. So, willing candidates who wish to get a Bank Joba can utilize this opportunity & apply for IBPS Clerk Vacancy 2018 on or before the due date. Soo, after receiving the IBPS Clerk Application Forms, the officials will conduct Preliminary exam in the month of December. The IBPS Recruitment process for bank clerks involves a preliminary exam and main exam. The provisional allotment process is expected to be completed in April 2019. Candidates having the age limit in between 20-28 years with Graduation degree are eligible to apply for IBPS Clerk Vacancy 2018. Other details regarding IBPS Clerk Notification 2018 such as Selection Criteria, Salary, Important Dates, Application Process, Important Links, etc are shared below. For this financial year 2019-2020, a total of vacancies will be filled through IBPS Clerk Notification 2018 – Common Recruitment Process (CRP) Clerks CWE VIII. Candidates who are willing to apply for IBPS CRP Clerks VIII Exam 2018 have to ensure the following eligibility conditions like Age Limit, Educational Qualification, etc. Upper Age limit: 28 years. As per official IBPS Clerk Notification 2018, upper age relaxation is applicable to the reserved candidates. Candidate must have a Degree (Graduation) in any discipline from a recognized University or any equivalent qualification recognized as such by the Central Government. In addition to the eligibility criteria, get the further information regarding IBPS Recruitment 2018 Notification like Application Fee, Selection Process, Salary, Important Dates, How to Apply, etc. For SC/ST/PWD/EXSM candidates: Rs. 100/-. For All Other Categories: Rs. 600/-. Selected candidates for IBPS Vacancy 2018 will receive a good pay scale as per the norms of the conducting organization. The IBPS Clerk Recruitment 2018 Online registration will begin on 18th September 2018. The Closing Date for the submission of IBPS Clerk Application Form 2018 is 10th October 2018. Get the step by step procedure provided here to fill the IBPS Clerk 2018 Application Form. Search for the related link “IBPS CRP Clerk VIII Notification 2018” on the homepage. Go through the details provided in the official IBPS Clerk Notification 2018 Pdf. Ensure the Eligibility Criteria for IBPS Jobs 2018. If eligible, then click on “IBPS Recruitment 2018 Apply Online” tab. Enter all the necessary details in the IBPS clerk Application Form 2018 such as Personal, Academic & Other information. Pay the requisite amount of the application fee. Verify all the details once before the submission of the IBPS Clerk 2018 Application Form. Finally, press “Submit” button & keep the hard copy of the IBPS clerk 2018 Online Application From future reference. The information gathered on this page regarding IBPS Clerk Notification 2018 is only for the reference purpose. In case if you have any queries, refer the official IBPS CRP Clerk VIII Notification 2018 Pdf through the straightforward link provided below. Keep in track with us Naukri Samachar for more Job opportunities.